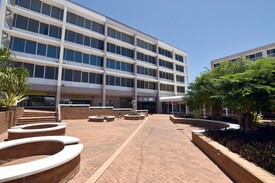 651 Commercial Real Estate and Properties in Rockhampton are listed in 9 categories. We have 193 Industrial Warehouses for Sale & Lease , 166 Retail Shops for Sale & Lease , 165 Offices for Sale & Lease , 72 Development Lands for Sale & Lease , 29 Other Commercial Properties for Sale & Lease and 20 Showrooms for Sale & Lease . Motivated interstate vendor Huge two storey home with four bedrooms, upstairs, ducted a/c, 2 bathrooms, large modern kitchen, entertainment area plus downstairs, 5 rooms, 2 bathrooms, 2nd kitchen, in ground pool and BBQ area, solar panels and 3 bay shed. Total land area 1.4 hectares, 3 titles lot 1: (house lot) 4444m2 Lot 2: (vacant land) 5529m2 Lot 3: 4010m2 (Across Limestone Creek). Serious seller Price $725,000 for the lot Note: Lot 2 can be purchased separately by negotiation. Bonus Property has frontage to Limestone Creek giving direct access to the Fitzroy River for the boat / ski enthusiast. A rare opportunity to live and work from home, redevelop the industrial sites or sub divide. 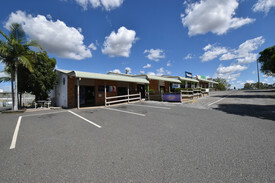 24 26 CHAPPLE STREET OFFERS VARIOUS TENANCIES, STREET FRONTAGE AND REAR SITE TENANCIES Situated in the sought after Hanson Road precinct and surrounded by a multitude of businesses, it is definitely worth taking the time to view current vacancies. With reasonable rates and flexible leasing terms make an enquiry today! 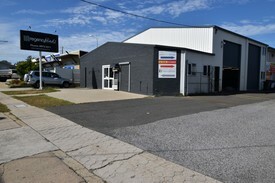 26A Chapple Street offers street frontage modern air conditioned approx 160m2 showroom/office and warehouse, plus side access to concrete hardstand with rear awning and off street parking. 26B Chapple Street currently operating as a fitness centre, is suitable for similar operations or ideal showroom and warehouse. 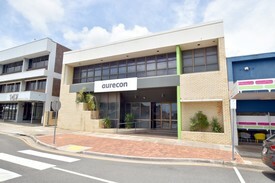 With street frontage, there is an approx 135m2 modern reception area and 2 3 offices, which could be made open plan plus approx 180m2 warehouse including kitchen and storage with a large covered awning with hardstand yard all security fenced. 26C Chapple Street Set directly behind 26A and 26B this approx 170m2 warehouse is ideal for a warehouse/ small workshop. It houses an office and warehouse/workshop with security fenced hardstand. This property is very affordable for a start out or small business. 24 26 Chapple Street Storage Units If you are seeking secure easy accessible storage units, then you are at the right location. This complex houses two types of storage. It doesn't matter whether you require short or long term storage we have units available. With complete drive around complex getting in and out is easy. The Mini storage Units are 3.5m x 6m and are suitable for general storage at a rate of $175.00 per month The Business storage units have 4.5metre high gyprock ceilings and are built to house large items trailers, caravans, business items. The sizes range from 3.8m x 6.6 m to 4.8m x 8.8m with very reasonable prices from $240 per month to $370 per month. Whether you are looking to establish a street front business, workshop or simply just storage, 24 26 Chapple Street is the right place to start. Contact Ray White Commercial for further information. 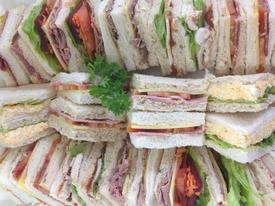 An exciting opportunity exists to acquire a profitable takeaway and catering business in North Rockhampton with a strong local and broader customer base. 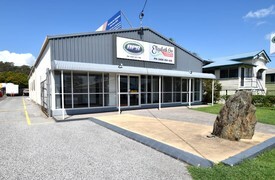 Located on a busy arterial, on the fringe of a well developed industrial area in the North Rockhampton area, the location is easily accessible with ample staff and customer parking. Premises are both internally and externally clean with a well presented facade. This business would suit an owner operator with a passion for food and previous experience. A Sole trader or family team would equally reap the benefits of this established successful business. Currently opened Monday to Friday, 6.30 3.00. (plus after hours catering) with endless possibilities to expand. This business is easily managed and operated with a well equipped kitchen, walk in cold room, refrigerated sandwich bar and combi oven and currently has a lease in place until 31/03/2021. It currently presents impressive figures with potential for growth. Figures available on request. Call Jade Carr today to arrange your private inspection on 0439 989 636. Liquidation Sale  2831m2  Beach Front Opportunity! Auction On Site 11th May .. Positioned only metres from the water's edge is a prime site waiting for the right buyer with the right vision to make this into something spectacular. 2831m2 in total area with approximately 2022m2 of vacant land this site has endless potential. 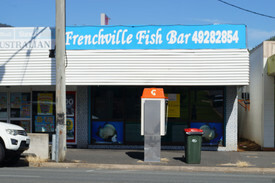 Currently there is a small shopping complex which is home to an accounting firm and fish and chip shop which occupy 4 of the 10 possible tenancies with the remaining 6 tenancies being a viable rental income proposition. Emu Park is beautiful beach side town only 45 kilometres from Rockhampton and 21 kilometres from Yeppoon. It has all the conveniences of a small city yet the laid back feeling you get from a coastal township. Property Addresses 2 to 6 Pattinson Street, 8 to 10 Pattinson Street, 13 Granville Street, 15 to 17 Granville Street, Emu Park For more information please feel free to give us a call. Longstanding National Tenant 'autobarn' - Immediate Liquidation Auction, Thursday 2nd May.. The Jared Johnson Lachlan Marshall Team are extremely proud to offer this exceptional National Tenanted Investment Opportunity. 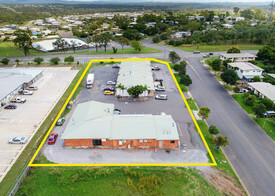 The property is strategically positioned on Dawson Highway opposite Gladstone's largest school and adjacent to the Gladstone Hospital Mater Misericordiae Hospital. 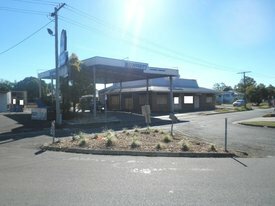 The strong national tenant 'AUTOBARN' takes advantage of the exposure to surrounding major retailers such as Gladstone Central Centre, Gladstone Cinema, NightOwl KFC. Our vendor has committed elsewhere, extremely motivated and has given very clear instructions to sell on or before Auction. Significant Net income $126,963.46 + GST + (tenants pay all outgoings) Net Lettable Area 700m² Commanding corner site (Land area 1,722m2 ) Head lease with long standing national blue chip tenant 'Autobarn' over 130 stores Australia wide 18 Exclusive use car parks Annual rental increases Quality constructed concrete freestanding building Surrounded by National businesses on one of Gladstone's most high profile streets Opposite Gladstone's largest school and adjacent to the Gladstone Hospital Mater Misericordiae Hospital. Local Economy to benefit from resource, energy, construction, transport, tourism and government projects Motivated vendor will consider all offers Don't miss this rare and outstanding opportunity! For a detailed Information Memorandum please contact the exclusive listing agents Jared Johnson Lachlan Marshall for more details by clicking on the link above. Approximately This property is being sold by auction or without a price and therefore a price guide can not be provided. The website may have filtered the property into a price bracket for website functionality purposes. Disclaimer: Ray White has not independently checked any of the information we merely pass on. We make no comment on and give no warranty as to the accuracy of the information contained in this document which does not constitute all or any part of any offer or contract by the recipient. Prospective purchasers / lessees must rely on their own enquiries and should satisfy themselves as to the truth or accuracy of all information given by their own inspections, searches, inquiries, advices or as is otherwise necessary. No duty of care is assumed by Orchid Avenue Realty trading as Ray White Surfers Paradise Commercial divisions toward the recipient with regard to the use of this information and all information given is given without responsibility. :: Located in popular Chapple Street, near Australia Post Delivery Centre :: Substantial besser block industrial shed :: Exclusive rear yard with side access :: Adjacent to Speedy's Self Storage sheds :: Incredibly good value, book your inspection now! Location Is Key $2,300 p/m + GST + Outgoi..
Stand-alone Industrial Facility Realistic Rental Rate Off..